A slotted (flathead) screwdriver for use with Robosource.net Aluminum Screws. 1" Blade Length and 1" Handle Length with a 7/32" wide tip to fit into tighter spaces than a normal screwdriver. 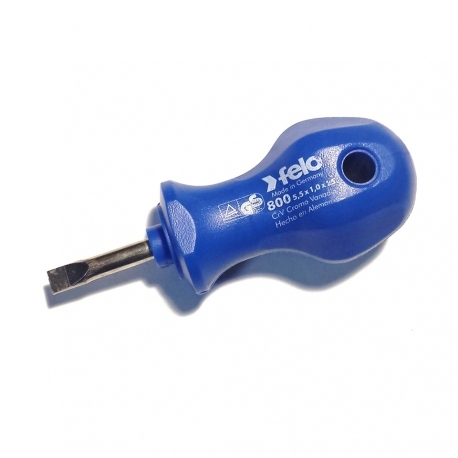 Made in Germany by Felo Tools, this driver is guaranteed to last! Features hardened & tempered chrome-vanadium steel blade, ergonomic anti-roll handle, and a hole to hang the tool or insert a lever.